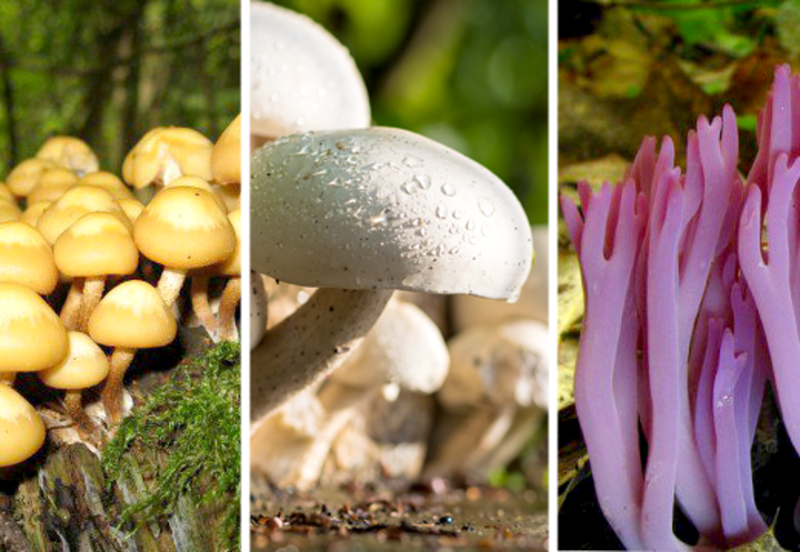 Fungi are as important to our lives as wheat, cattle, fish or any other living thing. Without the various types of fungi on Earth, we would soon be knee-deep in dead leaves that refused to rot. Trees that died would just continue to lie where they fell. Only fungi can break down lignin, the tough material at the heart of woody tissues. Our crops would fail because the nutrients that fungi recycle from dead plant tissues would no longer be available. Important farm animals, like sheep, are unable to digest grass without a little help from some friendly fungi. What would our woods and fields be like without all those beautiful mushrooms and (sometimes, sinister) toadstools in the fall? So, this page takes a look at a very important group of living things that, on the whole, we should all be grateful for. Scientist used to place fungi in the Plant Kingdom, mainly because they were thought to be incapable of moving under their own power. 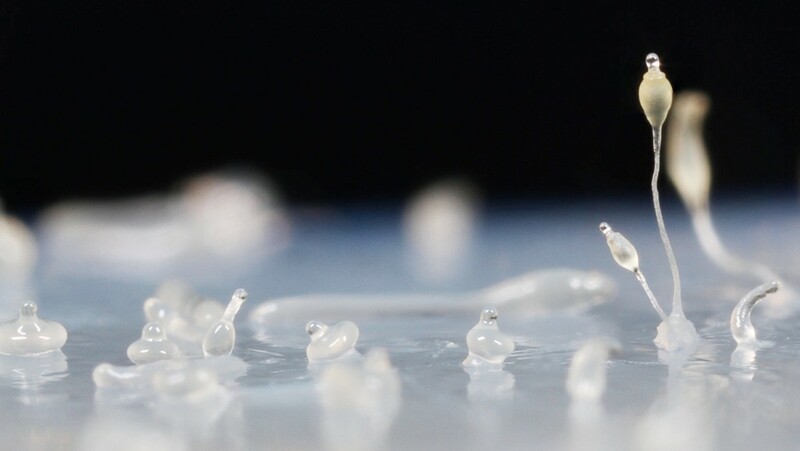 Closer study shows that at least some fungi have reproductive stages with gametes that can swim. The most obvious difference to plants, though, is that Fungi do not make food from sunlight and carbon dioxide. Fungi use food in a similar way to animals, digesting and absorbing what they need in the environment. Nowadays, fungi are given their own Kingdom. Basidiomycota: the mushrooms and toadstools. Ascomycota: sometimes called sac fungi. These often have vivid eyecatching fruiting bodies. This group includes the very tasty morels (see below) and truffles. It also includes the penicillin species which gave us the first effective antibiotic. Neocallimastigomycota: These live in the digestive tracts of plant eating animals like sheep. The enzymes that they produce break down polysaccharides like cellulose- the tough material that gives plants their strength. The sheep can then use the simpler carbohydrates that are produced as food. Glomeromycota: a very specialized group of Fungi that live in a beneficial symbiosis with Liverworts(small plants similar to mosses). There is a closer look at the 2 most important groups, the Basidiomycota and the Ascomycota, below. Mushrooms are one of the most noticeable groups of fungi. 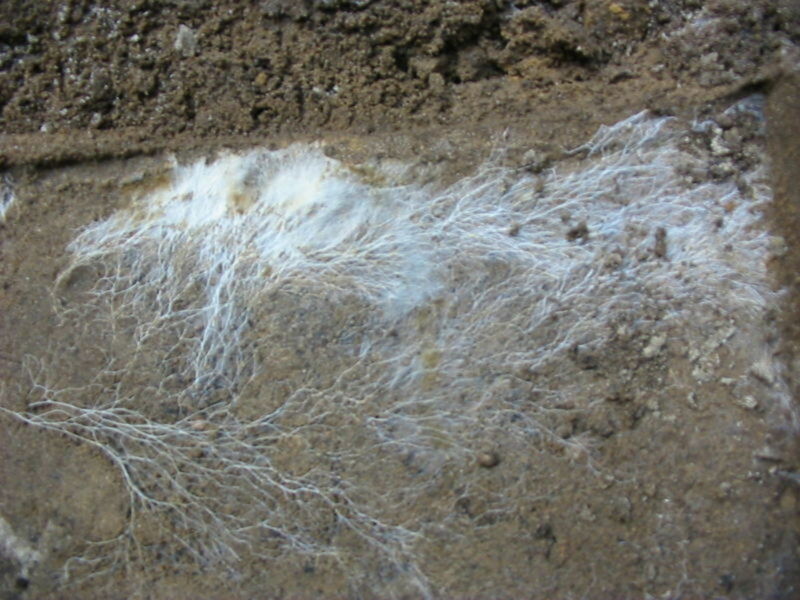 Most of the fungus is hidden from view in soil, leaves or deadwood (depending on the species). The large fruiting bodies that emerge, mostly in the Fall, are conspicuous and often very beautiful. Some mushrooms are even bio-luminescent, as you can see below. Like most fungi, Basidiomycota are saprotrophic, which means they decompose dead matter including the toughest of plant materials like lignin, a major structural component of trees. Underground, the Basidiomycota produce large networks of tiny tubes called hyphae. These grow through dead plant and animal material by secreting enzymes that dissolve a pathway. The digested material is absorbed and used as food. Mushroom 'Roots'. A mass of hyphae growing underground. The fruiting bodies we see above ground disperse spores which develop into new individuals. Some of these fruiting bodies make a very good meal- like the russulas pictured above. Some will make you very sick, like the Amantia, shown below. Some Ascomycota. A typical sac fungi, left, and two kinds of delicious morel (center and right). Ascomycota is the largest phylum of Fungi, with over 64,000 species. There are 2 main groups. 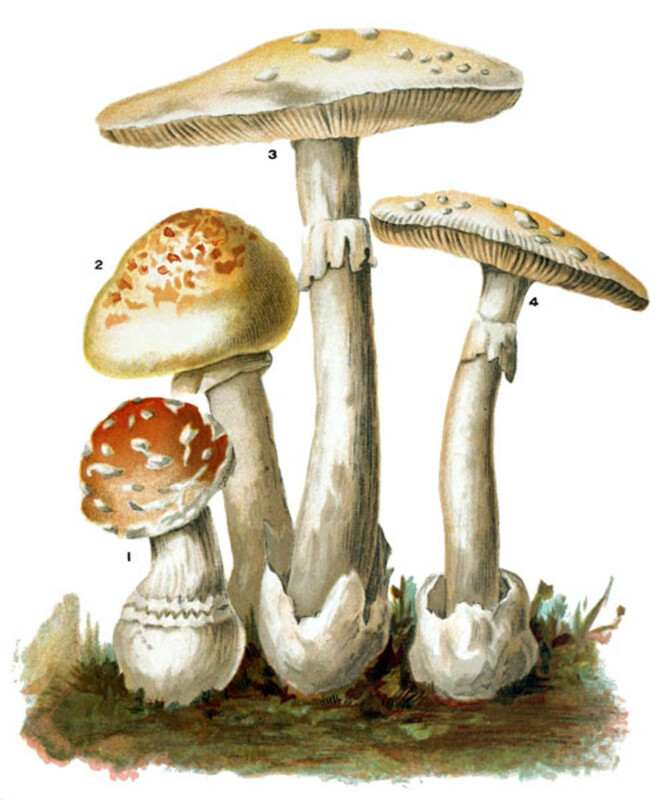 Pezizomycotina fungi have fruiting bodies similar to mushrooms and include morels, truffles, ergot and cup fungi. 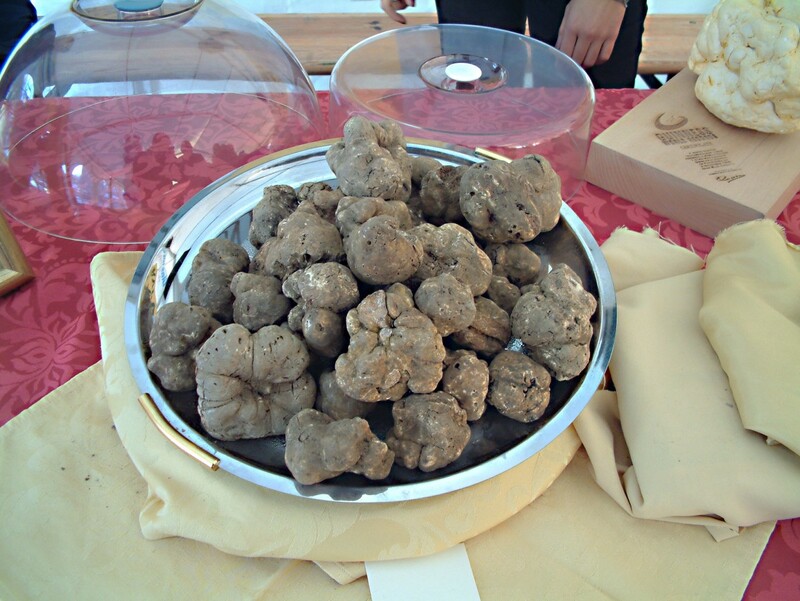 Truffles (Tuber genus) are one of the most expensive foods on the planet. 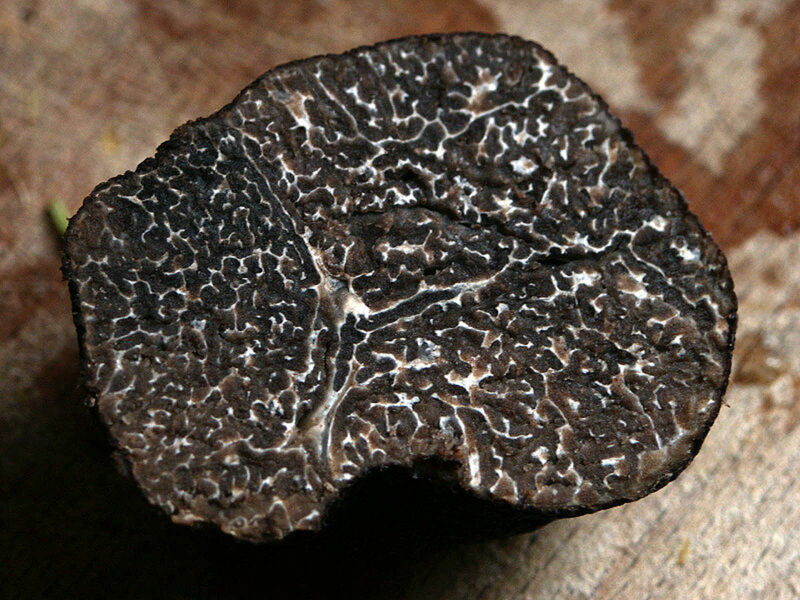 It is impossible to grow truffles on a large scale and they are very rare in their favorite woodland habitats. Pigs or dogs with especially sensitive noses are required to locate the much prized underground fruiting bodies. This group comprises most of the yeasts, including the very important, baker's yeast. The white bloom on grapes (picture below) is a mixture of wild yeasts and molds. 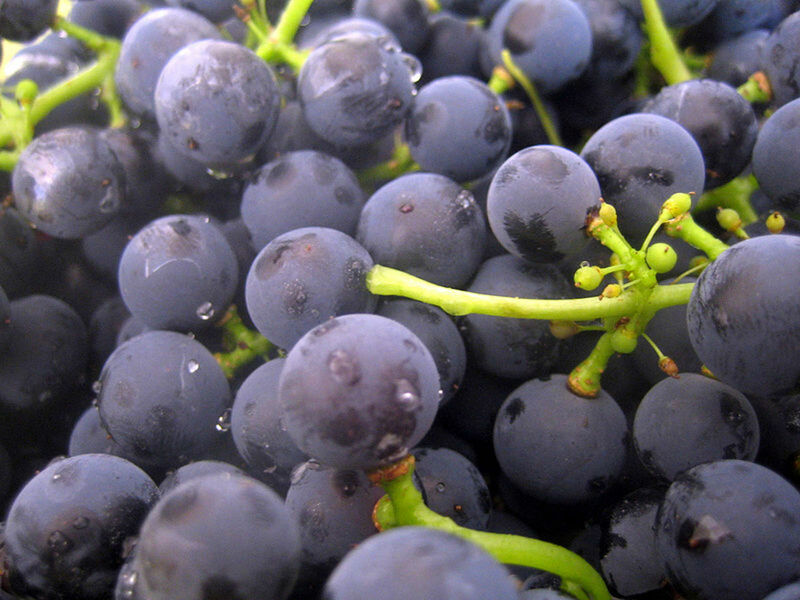 In the past, natural yeasts present on grapes were relied on to ferment the juice and produce wine. Nowadays, commercial winemakers usually innoculate grape juice with a high dose of a single variety of specially grown yeast like Saccharomyces cerevisiae, rather than relying on the slower growing wild yeasts. Whichever yeasts are used, the process is essentially the same. Yeasts consume sugar (without needing oxygen) and produce alcohol and carbon dioxide in the fermentation process. Ascomycota fungus as a bloom on red grapes. Most fungi are beneficial. Mushrooms make wonderful food. Yeasts help us with the most basic food stuff- bread. The detritus eating fungi keep our crops supplied with nutrients by efficient recycling. 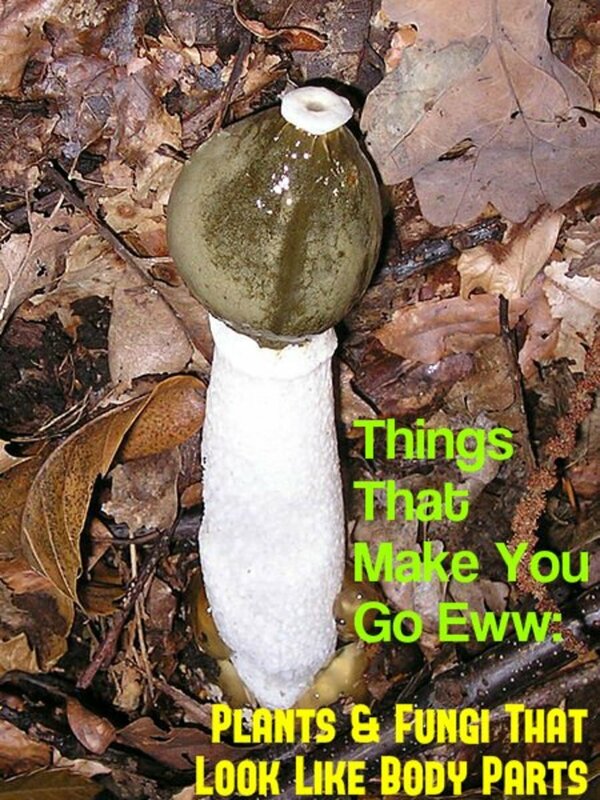 There are some fungi that are harmful to humans, however. Athlete's Foot is caused by the Fungus, Trichophyton. Some Ascomycota like the powdery mildews, are a serious problem for gardeners and farmers, especially in wet years. Late potato blight is caused by Phytophthora infestans, which is not a true fungus but very closely related. It, and other water molds, turn plant tissues to mush. In the 19th Century, most of the human population in Ireland relied on potatoes for food. Potato blight wiped out crops and millions of people died, or were forced to emigrate. Fungus, especially molds, can affect prepared foods like bread, fruit preserves, pickles and cheese. If the mold has penetrated, deeply into the food it needs to be discarded. Ergot is an interesting fungus that can thrive in stored cereals like rye if it becomes damp.The hallucinations and convulsions that Ergot ingestion produce were responsible for 'Saint Anthony's Fire' in the Middle Ages. Whole communities could be seized with strange symptoms often ascribed to witchcraft. Dutch Elm Disease has been responsible for the deaths of millions of elm trees around the world. 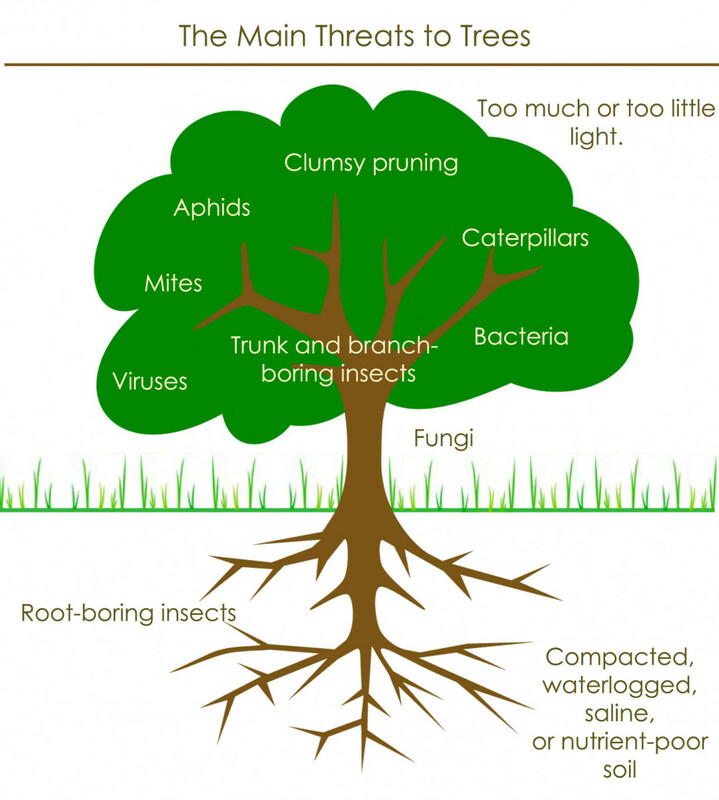 A beetle bores under the bark of the tree and a fungus it carries invades the inner tissues. A few species of fungi can be fish parasites affecting farmed and wild fish. The types of fungi that cause wood decay are important in recycling nutrients from fallen trees but are a menace in homes and other buildings. 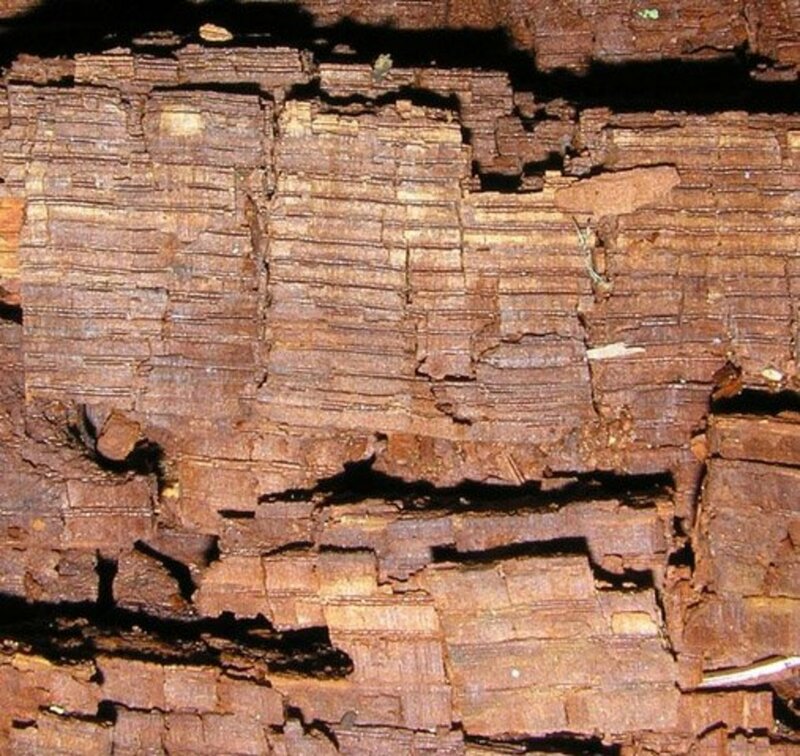 Brown rot fungi that produce hydrogen peroxide which attacks cellulose. 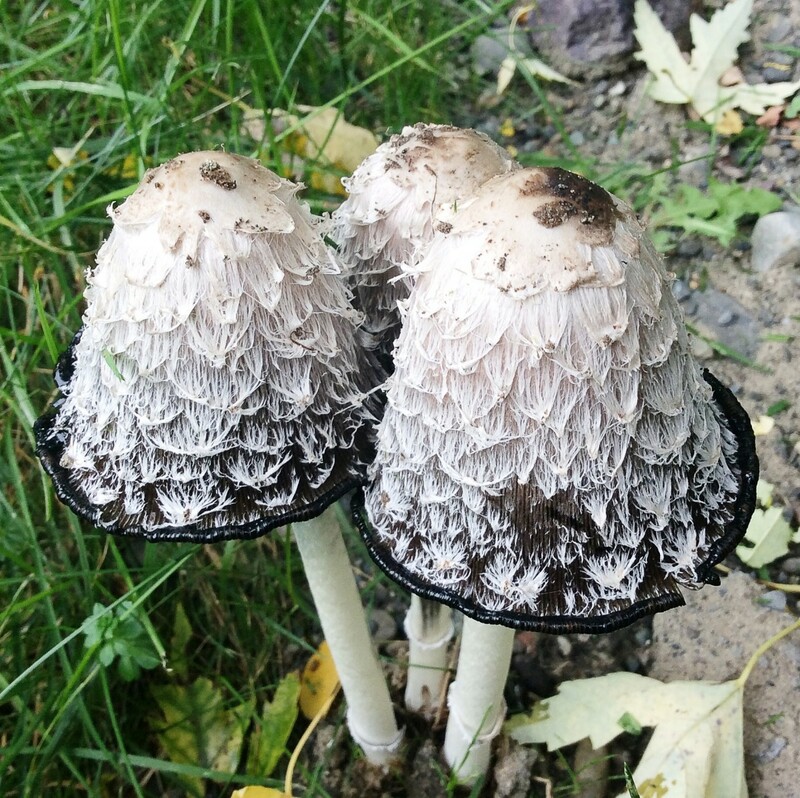 White rot fungi that produce enzymes capable of digesting lignin. The complete decay of dead wood involves many kinds of fungi. Despite the damage that fungi can do in homes and the food we lose to molds, I am staying with my original statement. 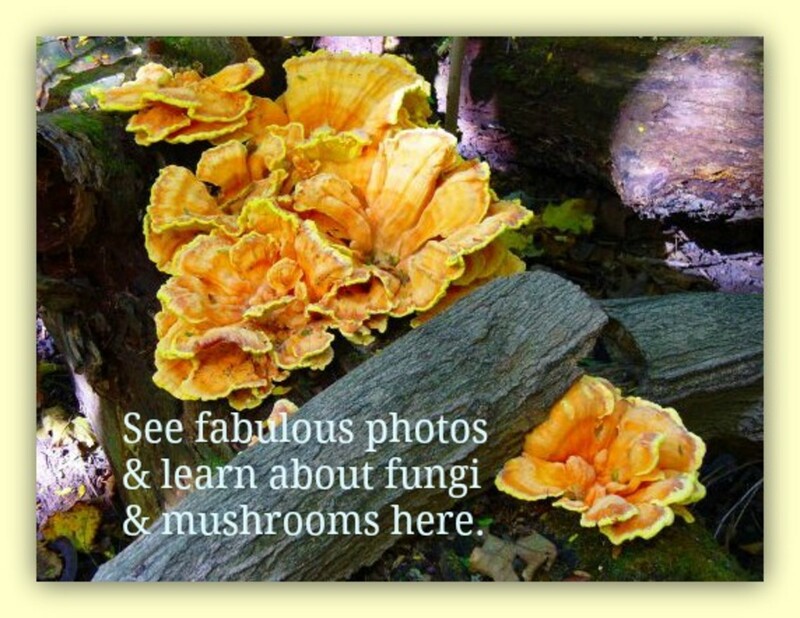 Fungi, overall, are good for us and we should be grateful for them! All mushrooms and toadstools are scary! I would not eat wild mushrooms but love to see them. Some of these are beautiful, some a little sinister! 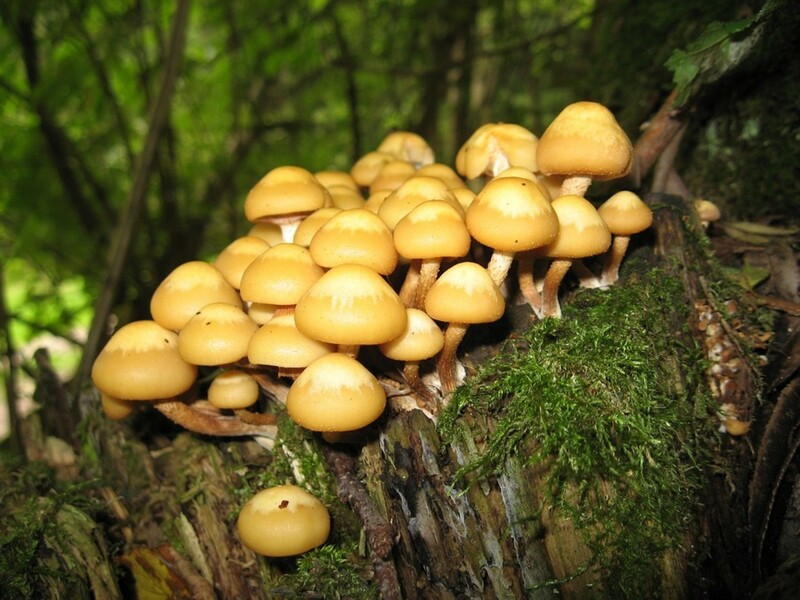 A number of these fungi are edible but you should never eat any fungi without expert advice. Many people die each year as a result of eating poisonous species. 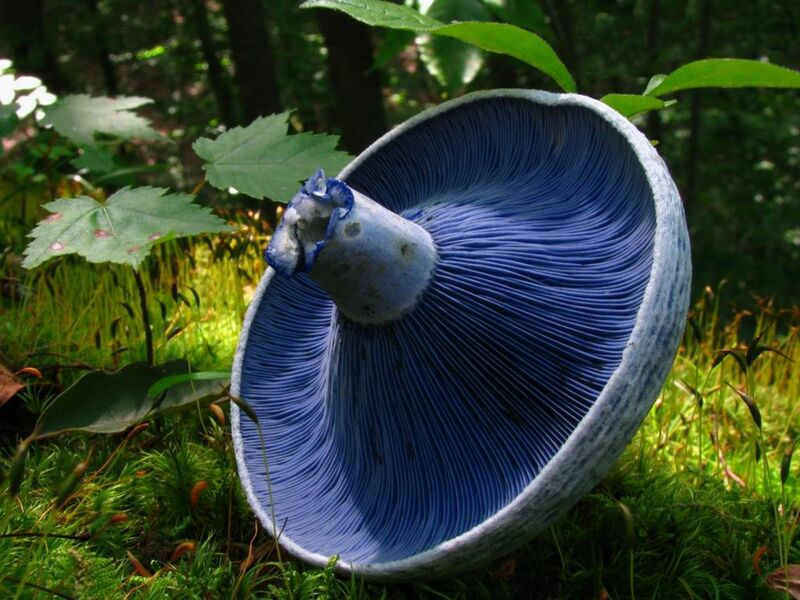 The Indigo Milk Cap is from the Russula family. It is found in all kinds of woodland. In many countries like China and Mexico, it is eaten. It can be found in the US and Europe. Sheathed Woodtuft (Kuehneromyces mutabilis) grows on decaying wood. It is not only provides a wonderful bright spot in a wood, it is edible and very tasty. It is a common species, in cooler climates, worldwide. 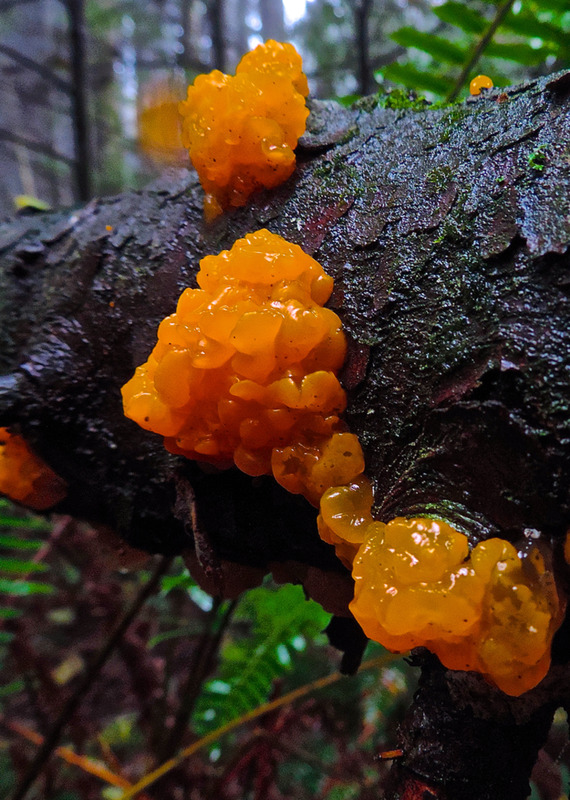 Tremella mesenterica (above) is a bright yellow or orange 'jelly' fungus that grows on trees. Some of its unflattering names include 'yellow brain' and 'witches butter'. Some more poetic names are 'golden jelly fungus', and' yellow trembler'. Clavaria zollingeri (above) is usually found in leaf litter or grasslands. 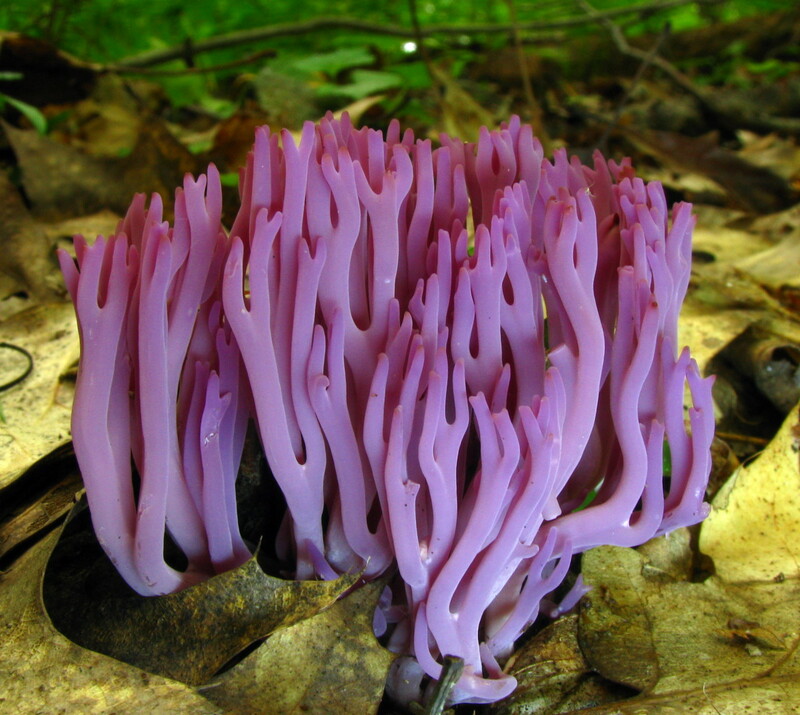 It is a widespread fungus but in the US, you will only find Clavaria in the Northeastern forests. 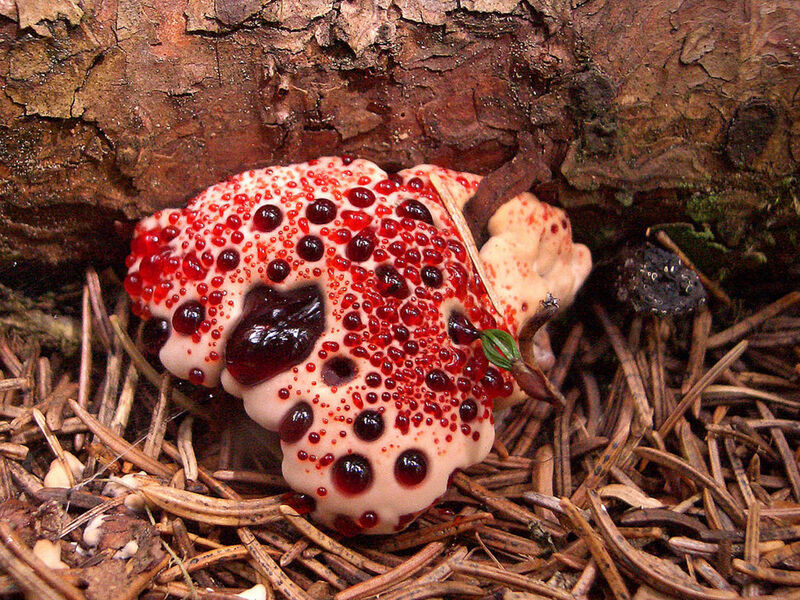 Hydnellum peckii has some sinister names, including the bleeding tooth fungus, and the Devil's tooth fungus but at least it is not poisonous. I think it is rather attractive! Fungi 'holidays' or 'forages' with experts are really popular in the UK. I'm glad people do the same thing in the US. Better luck on your next trip! Great stuff. 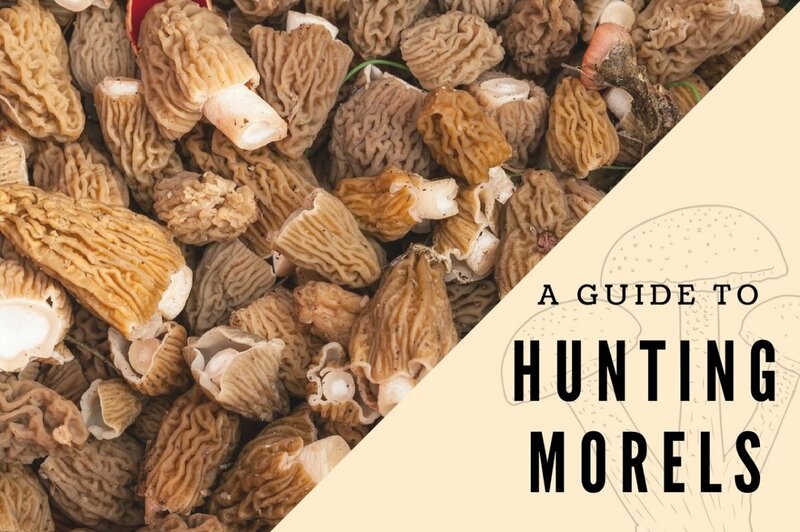 We went on a (failed) morel mushroom hunt a few months ago with a mycologist. We're going to try again in December, when, hopefully, the moist weather will have allowed a bunch of fungal delicacies to grow. I wouldn't dare trying to eat something without having an experienced mushroom hunter or mycologist examine it first, either. JT- I wouldn't dare try to describe which fungi are safe and which are not. Even if you have a really good reference book it is difficult to differentiate between some very enjoyable species and some very dangerous species. I would have been really interested in knowing which mushrooms were edible and which ones are not. One advantage the French and Italians have over the British and Americans is that they really know their fungi. Every family in the countryside has special places to gather fungi that only they know about. They even pass these secret locations from generation to generation. 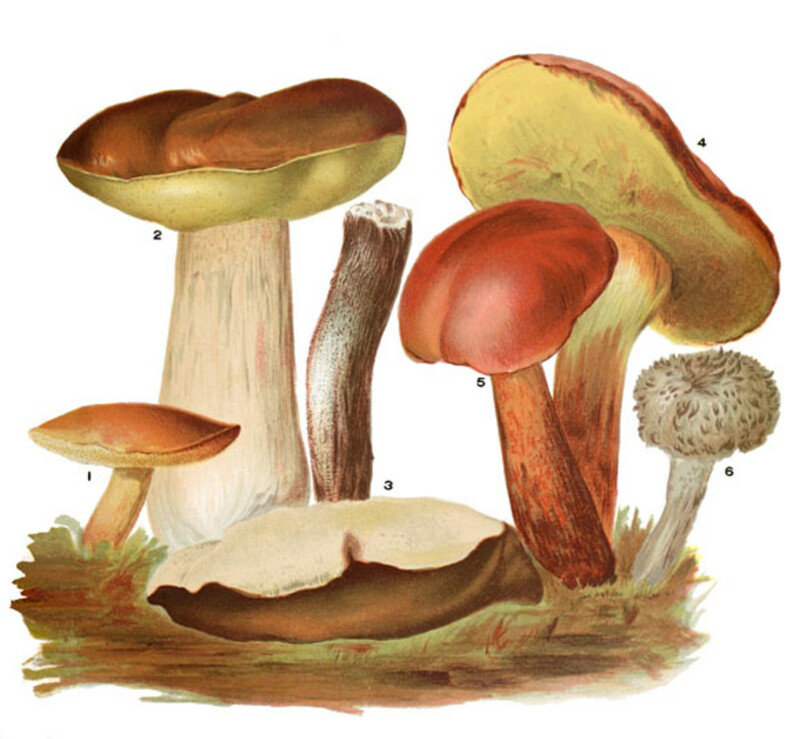 I love all kind of mushrooms, chanterelle and truffles are my favorites. In Europe gathering wild mushrooms in the forest is a popular activity, too bad it is not that popular in the USA. Great hub! Very nice hub. I love all the different fungi and mushrooms and often take pictures of them. The colors that seem to just manifest out of nothing are so amazing. And the different forms it takes... Thanks for sharing... I'm looking forward to a trek in the woods. I love mushrooms - always have done - and my ex was a biochemist. When we travelled in the wilds and came across different fungi, she would always know which were edible and which were not, without me having to go through the rigmarole of the lip test. I just wish our supermarkets and greengrocers were a bit more adventurous in the mushrooms they offer for sale. So many consumers are missing out on so many different and delicious flavours. Thank you both. It is amazing how much I enjoyed writing this page. I think it is just to do with the pure pleasure of how rich and varied life is. I also like morels! It is amazing how every living thing contributes in some way to life on earth. A very good hub. A well put together hub!